Toyota has developed a positive electrode material that can significantly boost the capacity of sodium-ion batteries, and says the new material could lead to the development of batteries that can power electric vehicles for 500 km to 1,000 km on a single charge. The automaker has created a prototype battery utilising the new material, The Nikkei reports. Shaped the size of a coin, the battery functions at room temperature, and is able to generate an electric voltage value – which is used to calculate the maximum mileage of electric vehicles – that’s 30% higher than that of lithium-ion batteries. The new sodium-based chemical compound acts as the positive electrode in a sodium-ion battery. 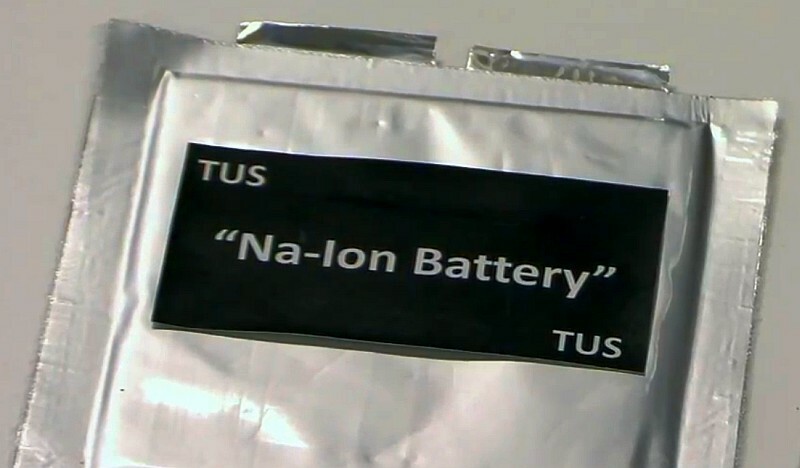 Unlike the rare metal lithium, sodium is abundant in seawater, making sodium-ion batteries potentially cheaper to make than lithium-ion. Development has been curbed due to their limited storage capacity, but recent technological breakthroughs may change all this. Toyota believes that EVs will not become popular until automakers can ensure a driving range of 500 km to 1,000 km. Hybrid vehicles currently have a range of up to 1,000 km, while EVs can travel about 200 km on currently available batteries. The company is set to continue research, with the goal of putting its new sodium technology into commercial use by 2020.